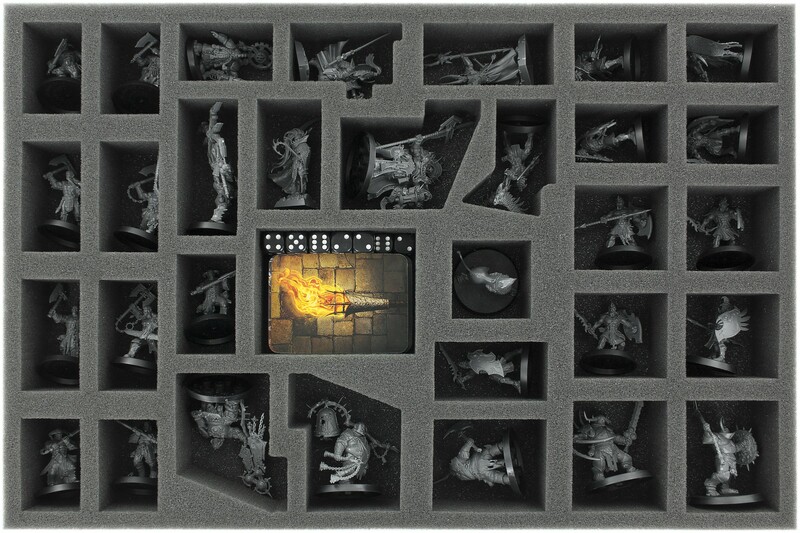 Especially for Warhammer Quest - Shadows Over Hammerhal cut foam tray. 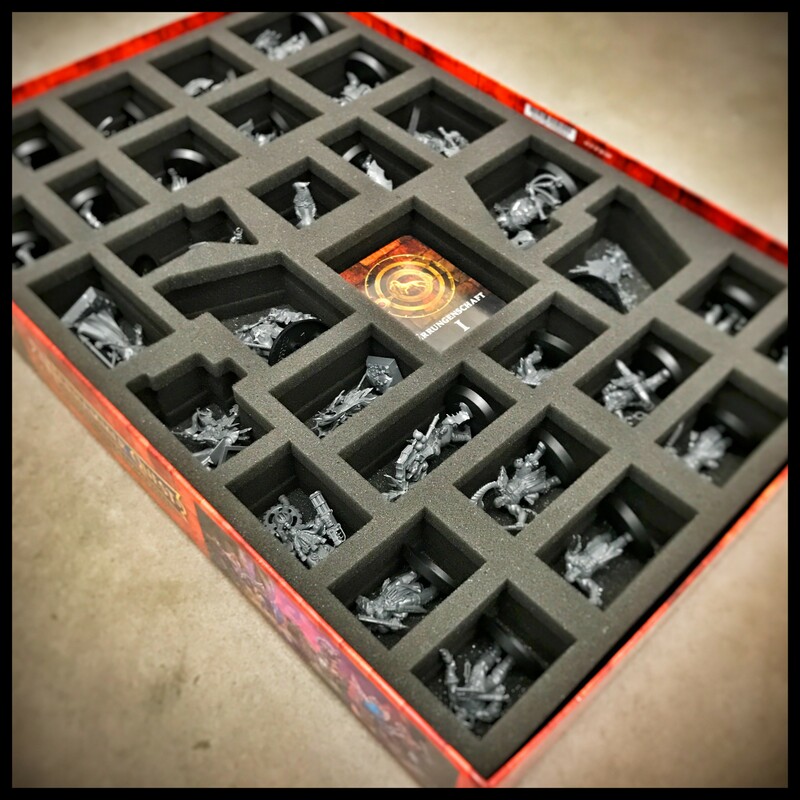 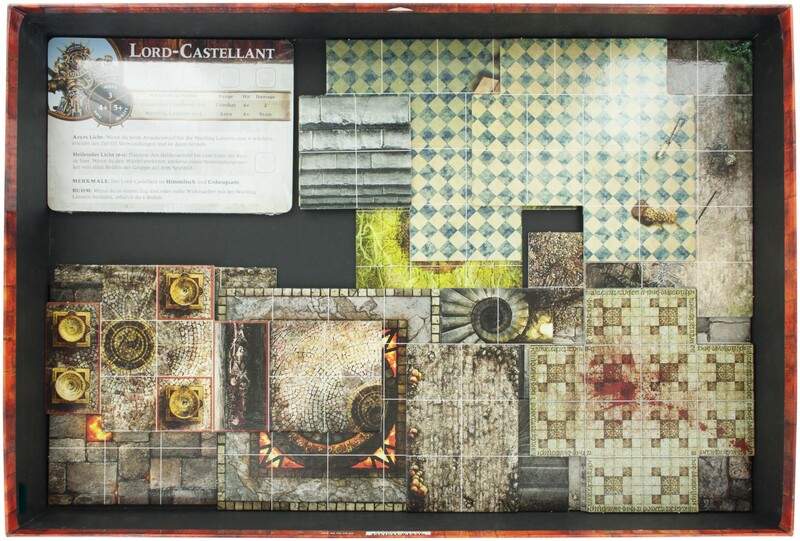 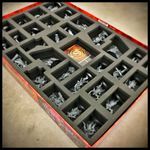 The foam tray with 32 slots large enough for the miniatures from the game and fits perfectly into the board game box. 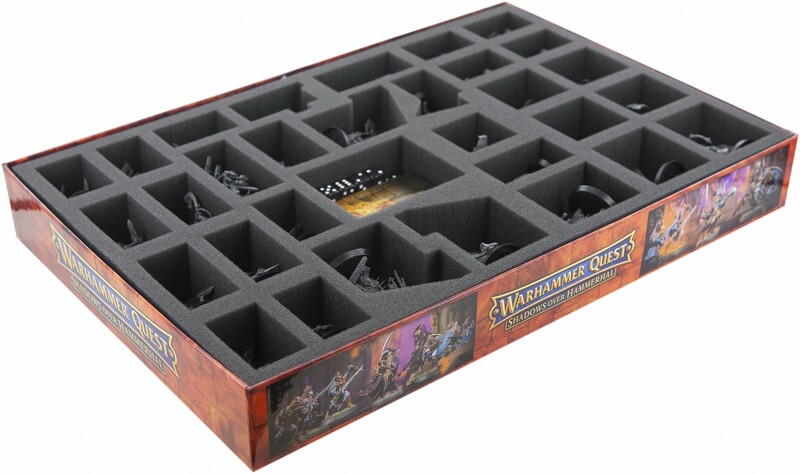 There is an additional foam topper to protect the Warhammer Quest figures. 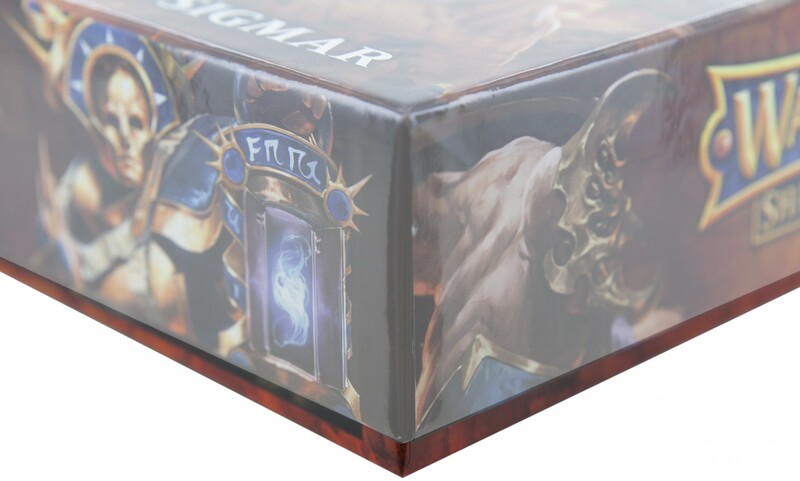 Foam extends slightly over the edge of the board game box if the game board tiles are under the foam.